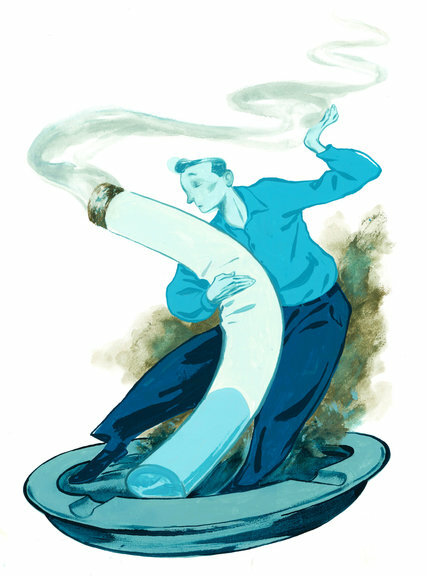 Tim Bower illustrated this piece for an article by Choire Sicha in the New York Times about a man and his relationship with cigarettes. From the romantic teenage rebellion days to the beige reality of quitting, "quitting smoking is the khakis of existence... the Chipotle on St.marks Place." A truly enjoyable read accompanied by yet another brilliant piece by the one and only Tim Bower. Read the entire article here!